Deus Virtus recently hosted a lunch for Mercy Ministries - click to see pictures of the event. Deus Virtus has once again provided bespoke accessories for 27Friday's latest showing at Elle Fashion Week in Bangkok. Deus Virtus stormed the catwalk at Pure's Summer Show in London, with a selection of our handbags featured (left-to-right): Celeste, Coruscate, Camille, Righteous. Deus Virtus has recently exhibited at one of the world's foremost fashion fairs, Prêt à Porter in Paris (September 6 - 9, 2007). We ask that all customers who placed orders at the exhibition please contact us as soon as possible to finalise the details of your order. Check out these hot pics from 27Friday's runway show at Elle Fashion Week in Bangkok, Thailand. 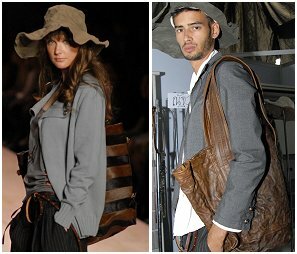 The show featured a number of Deus Virtus's bespoke handbags created for this exciting new brand (visit them at www.27friday.com).